Laguna hotel is one of those charming and cozy places that you just don’t want to leave. 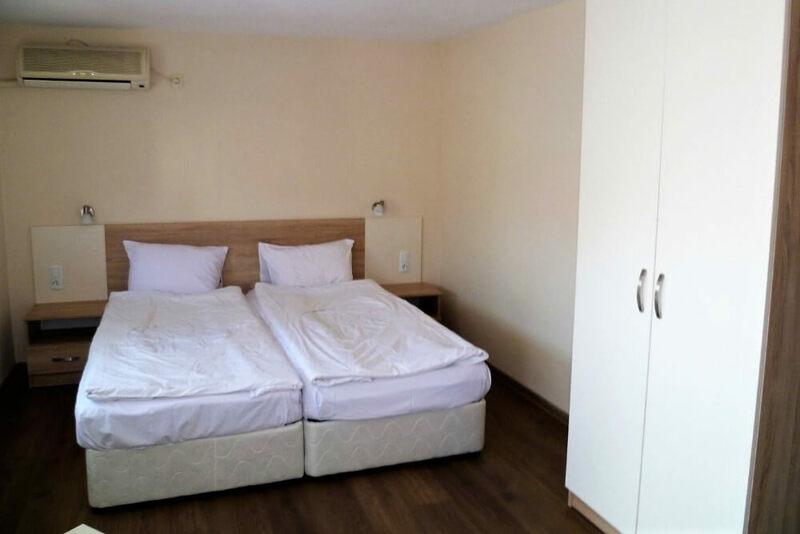 It is situated near the center of Sarafovo, on the corner of two quiet streets, and gives you the sense of peace and tranquility. 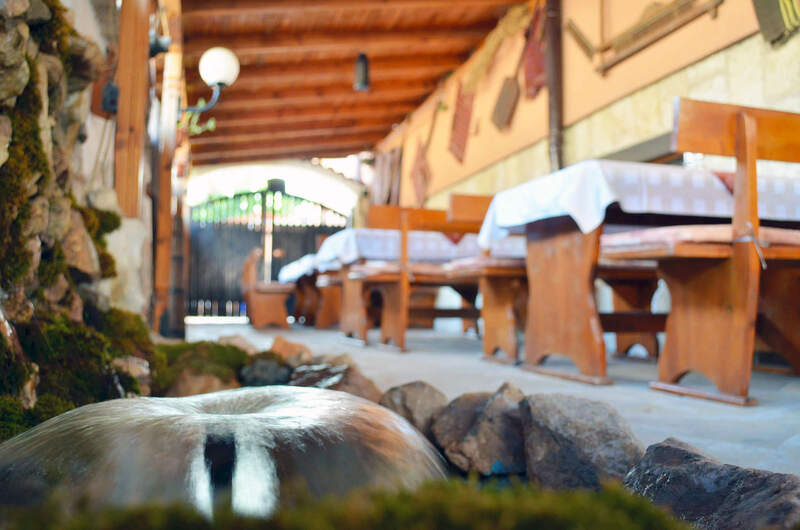 The beach is only a couple of meters away, but if you wish to stay in, there is a tavern to hide you from the sun and heat, as well as a garden jacuzzi. Our friendly staff is at your disposal all year round during your vacation or business trip. 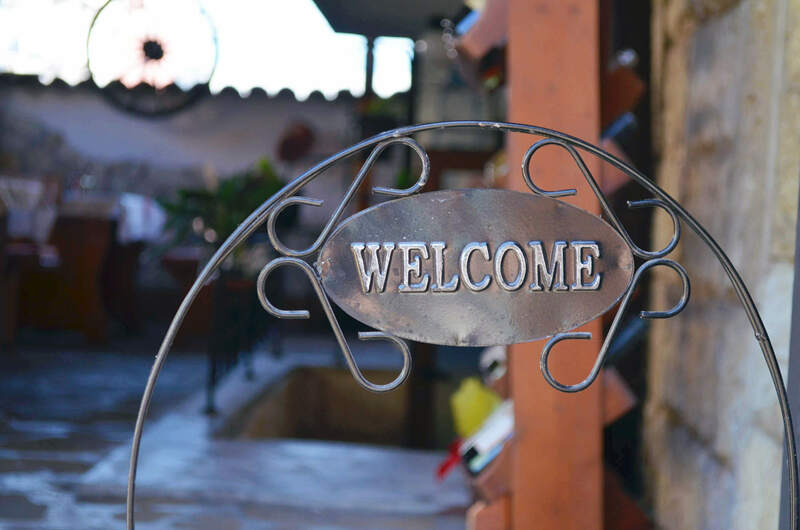 We guarantee that you will have a pleasant and comfortable stay and we’ll give our best to make you feel at home. 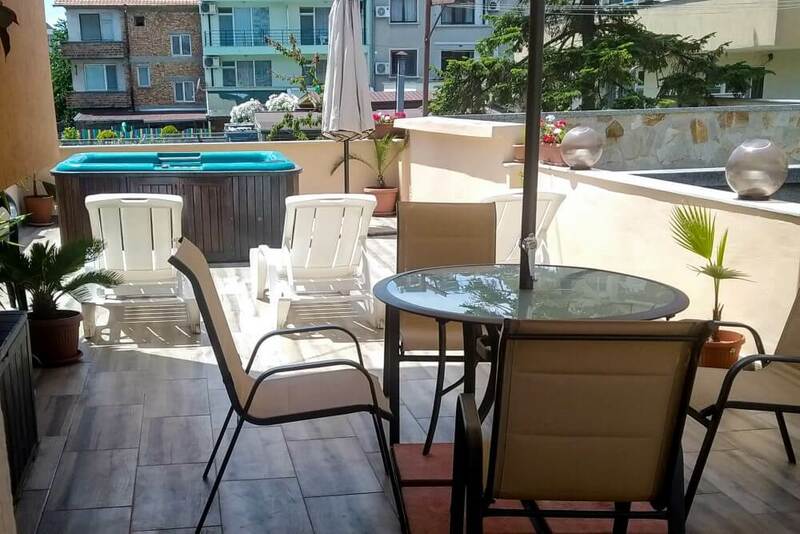 You will find Laguna hotel on a quiet street near the center of Sarafovo – only meters away from the beach and near the Saint Nicholas church. It has the perfect location for a quiet evening by the beach or a walk to the lively restaurants and bars. Sarafovo district is only 5 km away from Burgas and about 1 km away from the airport. Not far from it are the vacation villages Pomorie (7 km), Nessebar and Sunny beach, with access to bus transport to all of them. You can even reach Burgas by bike now, since there is a cycleway running by the sea. Situated on the Bay of Burgas, Sarafovo enjoys a high average sea water temperature all summer long, through the end of September. The beach is 4 km long, the sea water is clean and warm. The beach is covered by sand that is almost black – rich in iron, manganese and magnesium. It has some miraculous healing properties. The sea bed is flat and perfect for those who are still learning how to swim as well as for the children. For those who enjoy practicing sports, there are a variety of water amusements such as scooters, inflated bananas, water wheels, parachutes, jets and a surf school. The large beach line and the breeze attract more and more fans of the more extreme experiences like hang-gliding, wind and kite surf. We can plan a trip to exciting places and tourist villages. There is an aqua park not more than 15 minutes away by car from the Laguna hotel. It is situated near Pomorie and has different water attractions. There are other aqua parks near Sunny Beach. The region is famous for its healing mud and lye, used for rehabilitation treatments. Ropotamo river is not far from Sarafovo and Burgas, but the place is exceptionally romantic with its water lilies and greenery. Laguna hotel accommodates guests all year round in welcoming rooms with sea view, surrounded by greenery and tranquility. 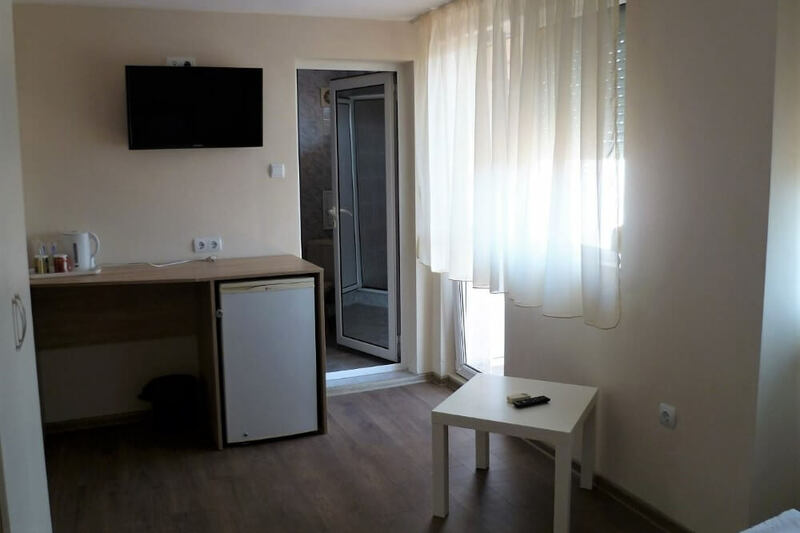 It is a wonderful choice for those who are looking for a calm place for a vacation by the sea, or need a quiet space to work, and wish to find them selves in a friendly environment. 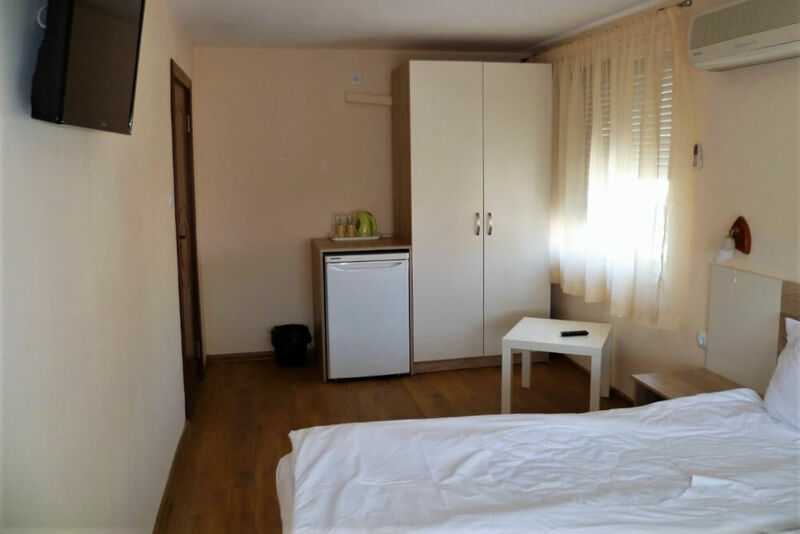 At the moment we have available three double rooms and a studio. All of our rooms are bright and clean. 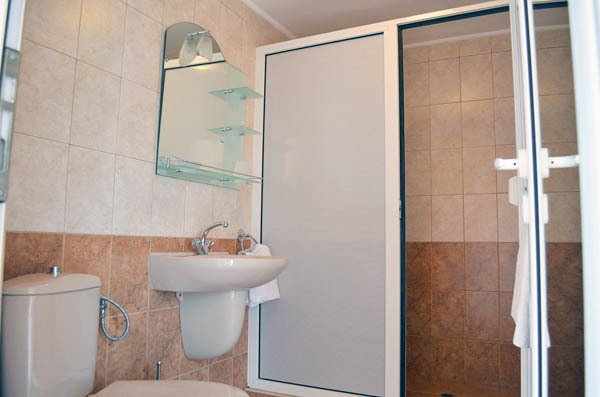 They each have a private bathroom, a cozy balcony with a table and an amazing view to the sea. All of the chambers are fully furnished even for a longer stay – there are comfortable beds, wardrobes, a table with armchairs. The studio is furnished with a sofa as well. 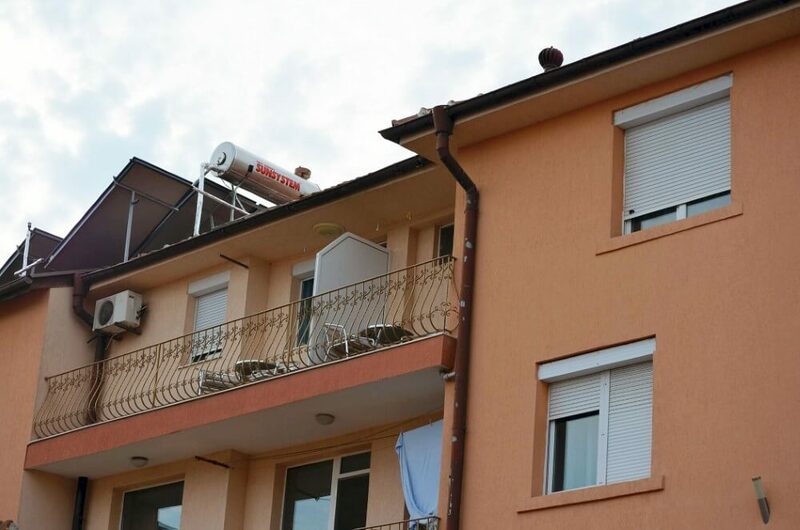 There are air conditioners for a perfect indoor temperature, TVs, fridges and electric kettles. Guests can enjoy free Wi-Fi in the lobby, as well as in all of the rooms. The chambers are cleaned every day. The Laguna hotel manages its own tavern and our chefs will win the heart of even the most exigent gourmand. 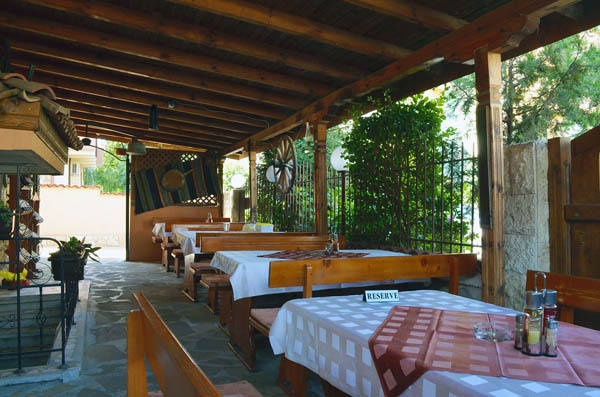 Every meal is prepared with carefully selected ingredients, following classic Bulgarian and Italian recipes. 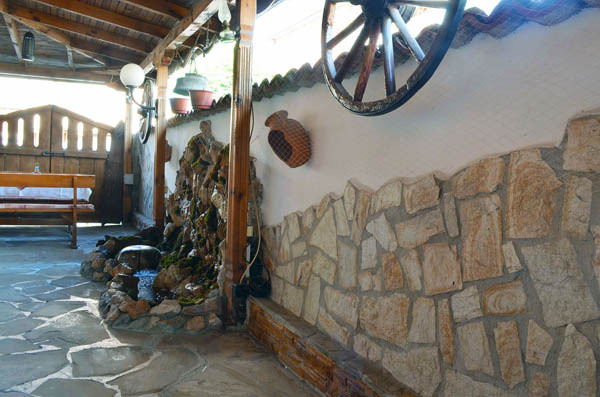 During summer you can enjoy Laguna tavern’s cool garden with its greenery and water effects, and during winter you can stay in, by the warm and cozy fireplace. On the wide open terrace there is an outdoors Jacuzzi, deck-chairs and potted plants – a great place to start your evening. The specified prices are per night /room or studio/ in BGN, with VAT included. •	Jacuzzi, deck-chairs and sunshade. Laguna hotel also serves breakfast for an additional price. •	•	Reserving 10 or more nights – 5% OFF. I give my consent for my personal data to be processed, used and stored under the PDP law of Bulgaria for the purposes of my accommodation only by Laguna 69 Ltd., 13 Septemvriiska str., Sarafovo, Burgas, Bulgaria. My personal data will be deleted or blocked three months after processing my request at the latest. I can object the storing, processing and using of my personal data at any time by contacting Laguna 69 Ltd. via e-mail info@laguna-sarafovo.com. In that case my data will be immediately deleted or blocked. If you wish to travel around and see something interesting, we organize trips. We can also provide you information about events, festivals, theater, concerts, aqua parks, amusements nearby etc. For those who are looking to have fun, the night life of Sarafovo, Burgas and the tourist villages near by offers a variety of night clubs, restaurants and bars. 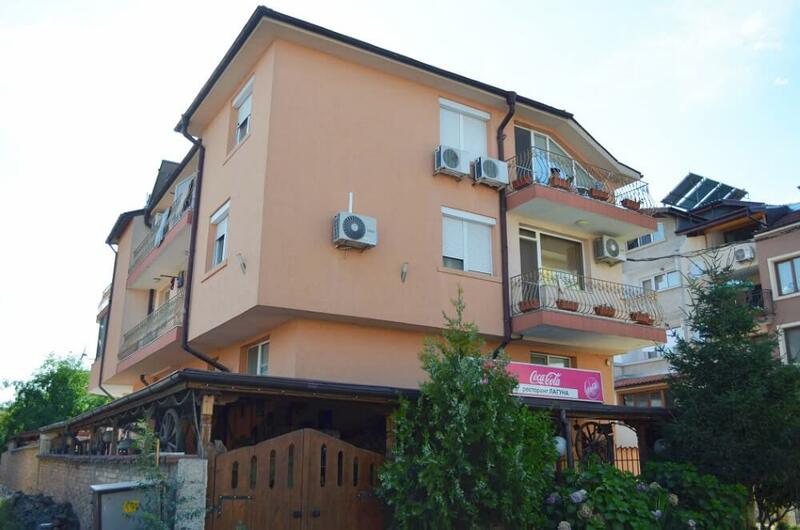 Address: Burgas, Bulgaria, Sarafovo, 13 Septemvriyska Str. Hotel website development, 2016 - 2019, 2GOOD Technologies Ltd.